Sahithya academy award winning Malayalam poet M N Paloor passed away at his residence in Kovoor. The 86-year old poet, the recipient of various honours passed away due to age-related ailments, they added. 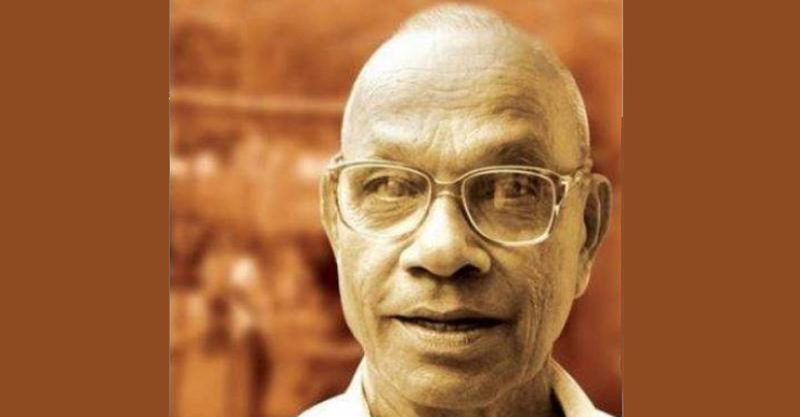 Paloor, one of the early poets to have modern views, is the author of some of the finest Malayalam poems of the latter half of the 20th century. His poems traced the sufferings of mankind involving all the complexities of a highly urbanised system. Some of his major collections include ‘Kalikalam’, ‘Pedithondan’, ‘Theerthayathra’and ‘Bhangiyum Abhangiyum’. He also received the Sahitya Akademi Award for his autobiography ‘Kathayillathavante Katha’ in 2013. Paloor won the Kerala Sahitya Akademi Award, the state’s highest literary honour, in 1983 for his collection ‘Kalikalam’. Kerala Chief Minister Pinarayi Vijayan condoled his death.